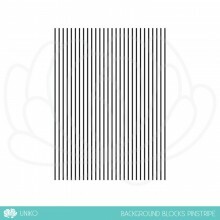 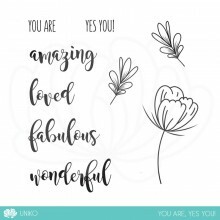 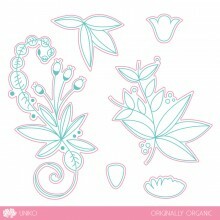 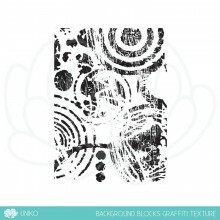 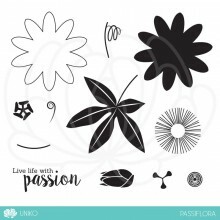 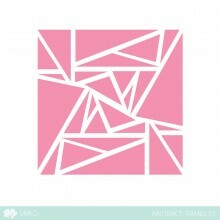 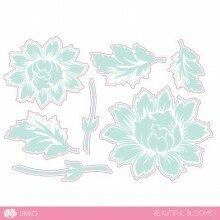 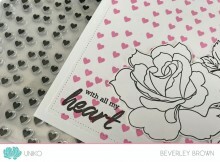 Categories: Backgrounds, Clear Stamps, Geometrics, Love, Wedding. 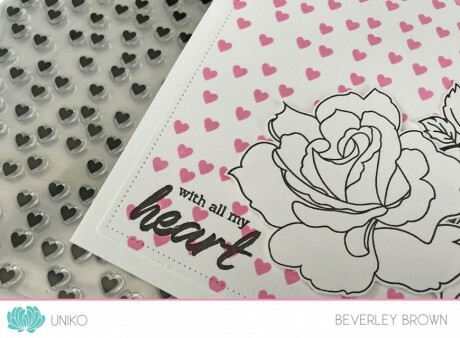 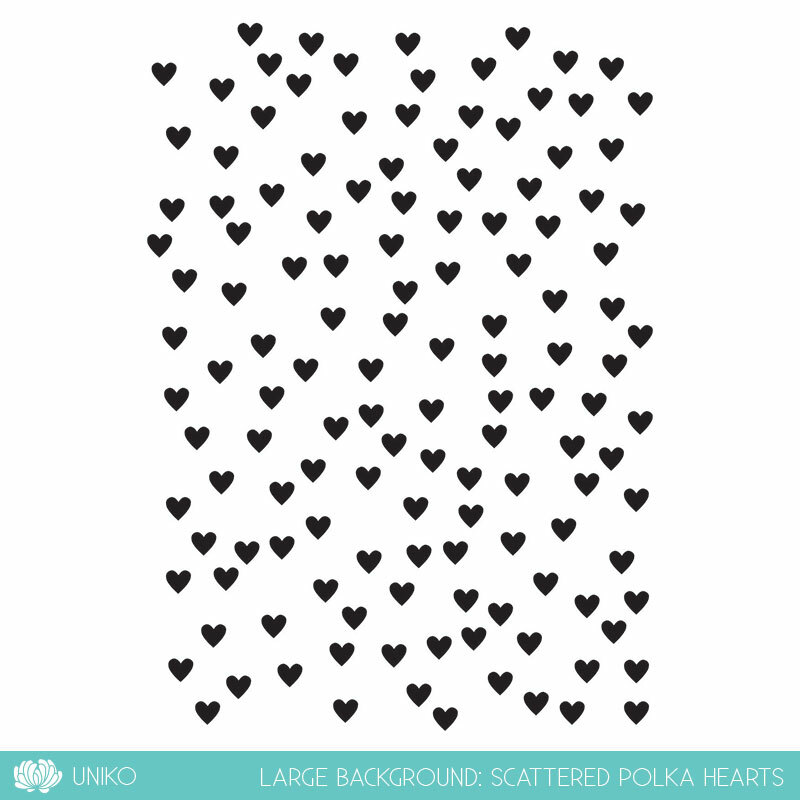 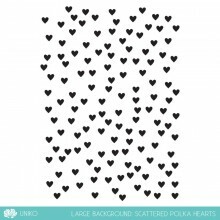 Tags: Background, Clear Stamps, Geometrics, Hearts, Large Background, Love Polka Hearts, Pattern, Uniko, Wedding. 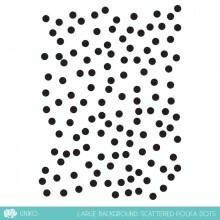 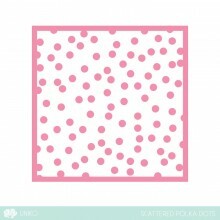 The second in this series is Large Background: Scattered Polka Hearts, which is designed so that a surface larger than the stamp can be filled in a repeating pattern. 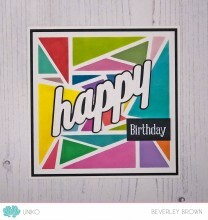 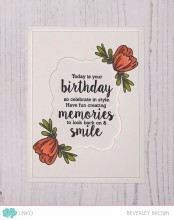 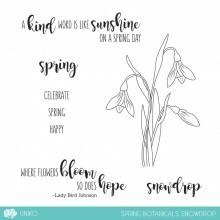 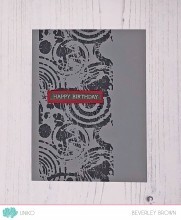 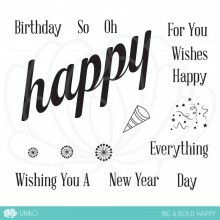 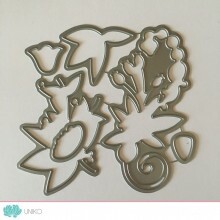 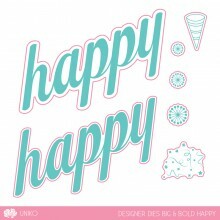 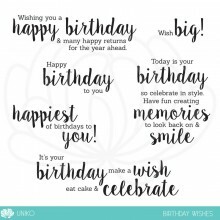 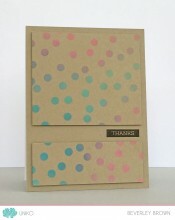 This is a fun coordinating stamp suitable for a variety of occasions and paper crafting techniques.